Well I must say it’s about time someone filled the void left by the Nortel Venture 3 phone system for small or home office applications. 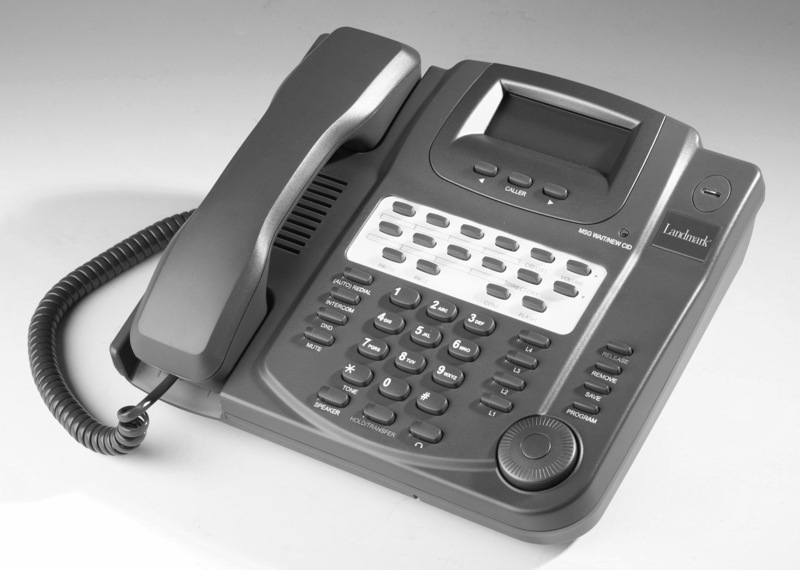 Enter the NSQ412 Landmark 4-line phone, which can be expanded up to 4 lines and 12 handsets. While the Venture 3 phones remain available, many of these have been refurbished numerous times as new Venture 3 phones have long since been unavailable. The NSQ412 phone is a true replacement for the needs of most small office and home office requirements that were previously satisfied by the Nortel Venture 3 platform. The NSQ412 4-line phone boasts a long list of features usually found only on expensive business telephone systems. Things like caller ID with a 200 number log, a 200 name & number directory (150 private / 50 public), wireless headset capability, a great 2-way speakerphone, one station / all station page, and much more. Headset jack – works specifically with the Plantronics CS50R Headset* for hands-free calling. It’s great to see that someone has finally addressed this void in the telecom market. So many small businesses do not require a full blown phone system with a Key Service Unit (KSU) and costly additional modules like voicemail systems and the NSQ412 phone clearly offers enough expansion for just about any small office application. Better still, these are NEW phones – not an old retread as so many phones are now for small office requirements. Cheers everyone! This entry was posted in 4-line phone, home office phone, small business phone system, small office phone, SOHO phone on July 8, 2009 by jjackson.